Martina Rosado, 58 of Linden, passed away on Wednesday, November 21, 2018 at Robert Wood Johnson University Hospital in Rahway. Martina was a lifelong resident of Perth Amboy before moving to Linden 14 years ago. 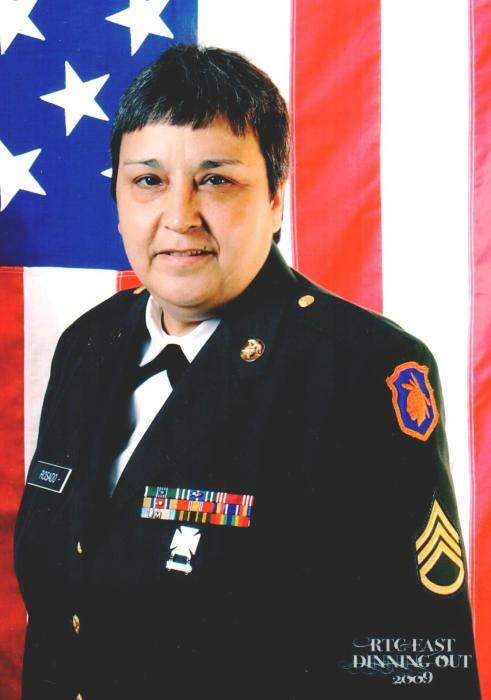 She served in the United States Army for over 32 years. She was employed by Keefe Warehouse, Inc., Edison for 10 years as a Supervisor. She loved spending time with her family, friends and her beloved cats. She was a parishioner of Most Holy Name of Jesus Parish at La Asuncion Church. She is preceded in death by her loving parents Juan & Herminia ( nee Pitre ) Rosado. She is survived by her beloved siblings John W. and his wife Cari, Matilda, Norberto and Angela Rosado; adored companion Milagros Dolman; cherished aunt of many nieces, nephews and cousins. A Funeral Service will be held on Tuesday, November 27, 2018 at 8:15 pm at the Gustav J. Novak Funeral Home, 419 Barclay Street, Perth Amboy. Interment will be private. Visiting is on Tuesday from 5 ~ 9 pm.